I've been looking for some software that would convert photographs to something resembling old Polaroid shots. 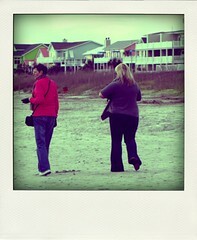 I finally found one called Poladroid. I am very happy with it. This one here has turned out the best so far. Some pictures work better than others.